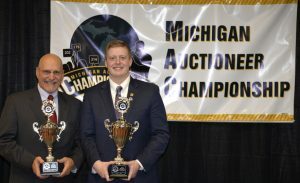 Mount Pleasant, Michigan – Billy Peyton of Middletown, Ohio won the title, Michigan Auctioneer Champion at the Michigan Auctioneer Championship. 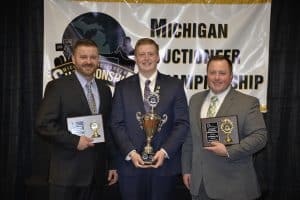 The Championship was held on January 31 at the Michigan Auctioneers Association Annual Conference held at the Comfort Inn & Suites in Mount Pleasant, Michigan. 12 Contestants competed for the coveted title. The 5 Finalists were Samuel Baer (Galion, Ohio), Ridge Bollheimer (Clarklake, Mich.), Jason Clark (Alma, Mich), Ashley Peters (Riverdale, Michigan), and Billy Peyton (Middletown, Ohio). For winning the title, Billy received a championship ring, trophy, and entry into the International Auctioneer Championship in July in New Orleans, Louisiana. Also taking home honors were Samuel Baer and Jason Clark. Baer was the 1st runner up and Clark was the 2nd runner up. 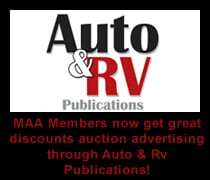 The Champion, Billy Peyton is a proud member of the Ohio Auctioneers Association, the Michigan Auctioneers Association, and the National Auctioneers Association. 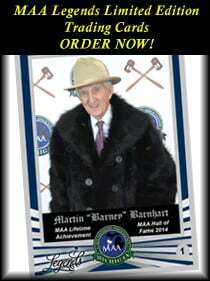 The highly talented auctioneer is no stranger to top placements in major auctioneer championships. Peyton won the 2017 Ohio Auctioneers Association Junior Auctioneer Championship and the GoToAuction.com Midwest Auctioneer Championship in 2018. In two consecutive years, Peyton was ranked in the Top 15 finalists in the 2017 and 2018 International Auctioneers Championship. Then he appeared in the 2018 World Automobile Auctioneers Championship coming in as a finalist in that competitive contest. When not selling automobiles and equipment, Billy is part of his wife’s cattle/grain farming operation of over 800 acres. Upon winning the championship, Billy said, “I’ve been wanting to be an auctioneer since I was five years old. I knew that’s what I wanted to do. Ever since I went to that first auction, I was hooked and I’ve made my dream come true and became an auctioneer. 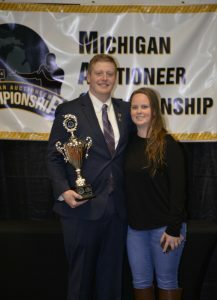 I’m a proud member of the Michigan Auctioneers Association and thrilled to be able to represent my association and industry this year and at the International Auctioneer Championship in July.” Peyton went on to thank his wife, Katie for her unwavering support, his parents, the Michigan Auctioneers Association, and many others that were pivotal in his early successes as a professional auctioneer. 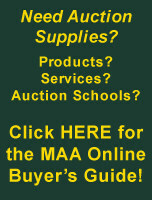 Established in 1951, the Michigan Auctioneers Association is dedicated to the enhancement of Michigan’s Auction Industry through education, promotion, advocacy and networking. 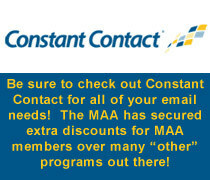 The MAA is the professional association for auctioneers in Michigan, continuing to be one of the leaders in the industry, and is proving to continue in that direction in the future. 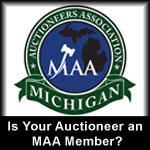 The Michigan Auctioneers Association is the largest representation of auctioneers in Michigan, providing a forum for networking, sharing ideas and experiences. 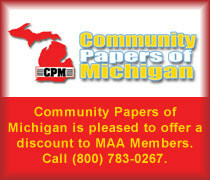 For more information about the Michigan Auctioneers Association and the auction industry in Michigan, log onto www.FindMichiganAuctions.com. Bob Howe Wins the Michigan Ringman Championship! 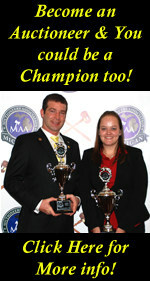 MAA MEMBERS RANK HIGH IN INTERNATIONAL CHAMPIONSHIP! Kenny Lindsay Wins Michigan Ringman Championship 2018! 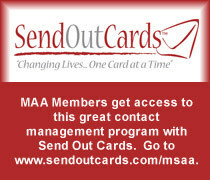 MAA Limited Edition Legends Trading Cards! 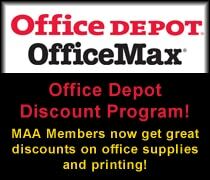 Order before they are gone! Sara Rose Bytnar Wins International Auctioneer Championship! Watch the International Auctioneer Championship! MAA Summer eGavel 2017 Published! Willis Yoder wins Michigan Ringman Champion 2017 and is Inducted into the Michigan Auctioneers Association Hall of Fame! 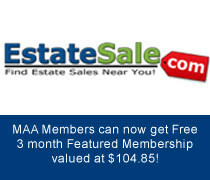 Why Hire a Professional Auctioneer for your Benefit Auction?